"National Question" Part 4, Noel Hilliard, Propagandist for Maori "Communalism"
The Communist Party of NZ didn't rely solely on its few Maori comrades to agitate for what it regarded as the Maori "cause". During the 1940s and '50s, several non Maori Communist Party supporters began assisting the Maori self determination movement in more subtle ways. I'll profile three of these men, all active in the Wellington communist scene and two of them members of the Communist Party affiliated Victoria University Socialist Club. All became propagandists for various aspects of the communist movement's Maori "line". Noel Hilliard was born in Napier in 1929 to a working class family. In his teens Hilliard became a journalist for the Labour Party's "Southern Cross" newspaper and studied part time at Victoria University from 1946 to 1950. At the time, the Communist Party affiliated "Socialist Club" was at its peak on campus. Hilliard joined the Socialist Club as did his flatmate, Alexander Fry (later deputy editor of the Listener). Like most Socialist Club members, Hilliard also joined the Communist Party, but resigned after the Hungarian Uprising of 1956. After a variety of jobs he trained as a teacher, married Kiriwai Mete (to whom he was introduced by Hone Tuwhare) and taught in a Wellington school. 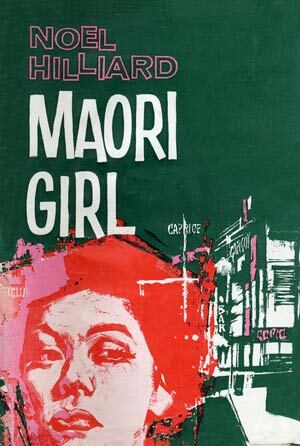 He remained active in left-wing politics, and this strongly coloured his first published novel, the ‘social-realist’ *Maori Girl (1960). During the '60s and '70s, Hilliard went on to turn "Maori Girl into a tetralogy with the sequels Power of Joy (1965), Maori Woman (1974) and The Glory and the Dream (1978). Meanwhile Hilliard wrote another novel and another volume of short stories. A Night at Green River (1969) tells of a farmer, Clyde Hastings, who offers to pay his Maori neighbours to help harvest his hay, not realising that such payment breaches the custom of mutual help in the community. The Maori fail to come but celebrate the end of Tiwha’s harvest, leaving Clyde’s hay to be ruined by rain. In the course of a tense night Clyde and his wife discover that there are other ways to think of money and of human labour. The values of capitalism encounter those of Maori communalism. Both Maori and Pakeha learn that cultural differences require non-judgmental tolerance from all participants in social transactions. The themes were clear. Maori are natural socialists, dispossessed by capitalism. They need to return to communalism and tribalism. Pakeha New Zealanders need to understand Maori oppression and assist in their "liberation". Maori Girl was a very controversial work in 1960s New Zealand. Most Kiwi's then thought that racism was an American or South African problem, which had nothing to do with us. Hilliard was a propagandist and his work helped make "racism" an issue. Understandably, the left promoted Hilliard's book as heavily as possible. Communist Party member and schoolteacher Pat Sunde reviewed it for "Fernfire". Canterbury University academic and Party sympathizer, H Wiston Rhodes reviewed it for Monthly Review. Alexander Fry promoted it in the Listener. In November 1974, Hilliard, billed as the author of "Maori Girl" spoke at a Socialist Action League organised, Socialist Forum, on "Realism Versus Socialist Realism"
Communists work like that. Take a small problem and by using multiple and apparently "disconnected" sources, fan it into a big one. Hilliard worked at the Listener, New Zealand's Heritage, New Zealand Today and later as a sub-editor at the Evening Post. Fairly humble jobs, but he did enjoy recognition abroad. Maori Girl and much of the rest of Hilliards work was published in the Soviet Union. In 1983 Hilliard travelled to the Soviet Union and to a Writers for Peace Conference in Sofia, Bulgaria. Hilliard's last book, published in 1989s was a personal view of travelling through the Soviet Union shortly before its dissolution: "Mahitahi: Work Together: Impressions of the USSR". Hilliard and his wife had been appointed ‘cultural ambassadors’ by the New Zealand Labour government in 1988. In the early 90's Hilliard began openly writing again in the NZ communist press, with several articles appearing in Tribune, journal of the Socialist Unity Party.